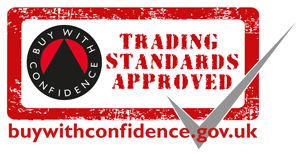 The principles of self-certification are based on giving people who are competent in their field the ability to self-certify that their work complies with the Building Regulations without the need to submit a building notice and thus incurring local authority inspections or fees. It is hoped that moving towards self-certification will significantly enhance compliance with the requirements of the Building Regulations, reduce costs for firms joining recognised schemes, and promote training and competence within the industry. It should also help tackle the problem of ‘cowboy builders’, and assist local authorities with enforcement of the Building Regulations. A number of organisations have been approved by the Department of Communities and Local Government (DCLG) to operate a Competent Persons Scheme. Scheme members are able to self-certify their plumbing and ventilation work saving the time and expense of submitting a building notice and taking away the hassle of dealing with Local Building Control – which is a legal obligation if an operative carries out this type of work. The business will be assessed for technical competence which will include an on site work inspection. The qualification requirement for membership of the various Competent Persons Schemes appears to vary slightly between scheme operators. In some cases an operative may be accepted to join a scheme without holding formal qualifications but will be required to demonstrate technical competence when the on site work inspection is carried out. Please also remember that the many of the current BPEC Certification Ltd. qualifications also meet the qualification requirements of the relevant Competent Persons Scheme operators.